Last week I took a walk down memory lane to tell you about the way the field of hyperbaric medicine nearly ended in 1999. We got a reprieve during which we could have changed the course we were on, but we didn’t. 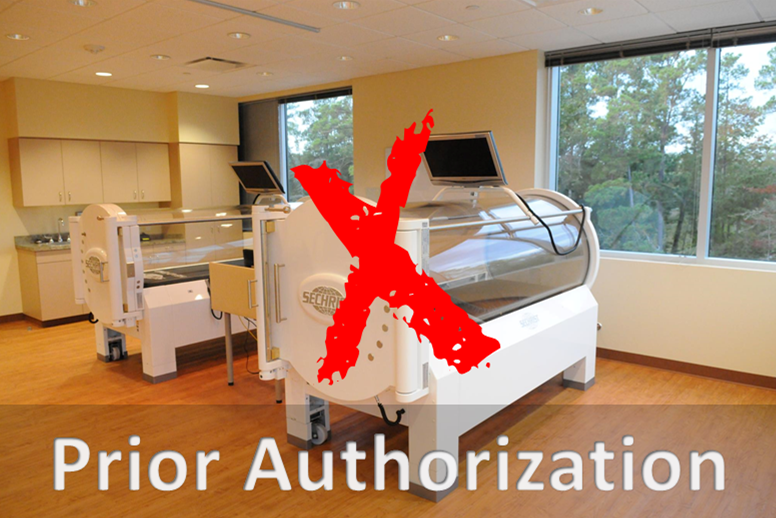 Currently, Medicare has initiated a pilot program requiring the prior authorization of non-emergency hyperbaric oxygen therapy services. That program is not going well from the standpoint of the hyperbaric facilities or patients, but that’s not the big problem. The BIG problem is post payment review of HBOT services, which will be rolling out in every MAC. The difference is that under post payment review, you have to pay the money BACK to Medicare if they decide your HBOT services didn’t meet their requirements. You will get a request for records and may have to provide a copy of the chart with all supplemental materials for each HBOT treatment individually (yes, some clinicians are being required to provide, for example 30 copies of the chart—a separate packet to justify for each HBOT treatment). Winding your way through the denial process can take months. The criteria the reviewers are using is, as far as we can tell, the same as the prior authorization program. Some of the reasons for the denials have also been the same including denying payment because a signature was “illegible” on an electronic record. I’ll have more to say about this process next week.